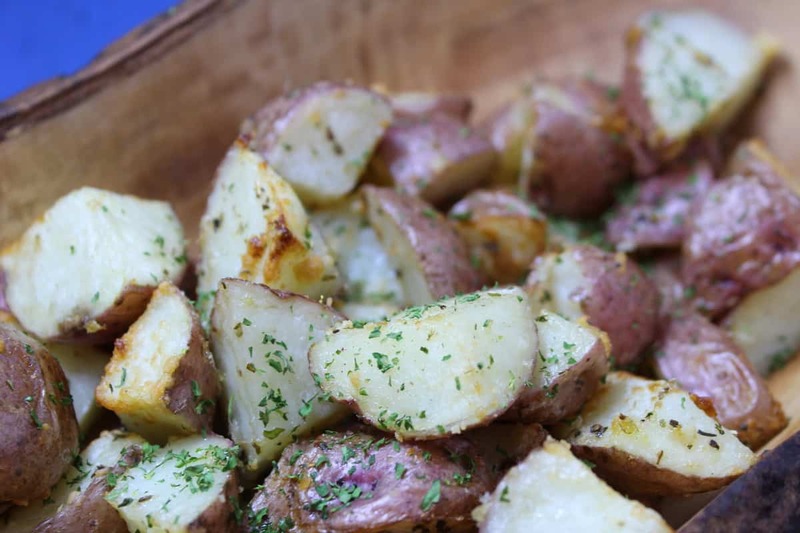 This is an amazingly flavorful potato dish. It needs very few ingredients, and it is the perfect side dish to any meal. They come out of the air fryer nice and crispy, almost like fried potatoes. They have an amazing taste, and they smell amazing, while they are cooking. The color of the potatoes, when they come out of the air fryer, for these potatoes, they almost looked grilled. But, you and I know that the air fryer is easier and faster than grilling them. 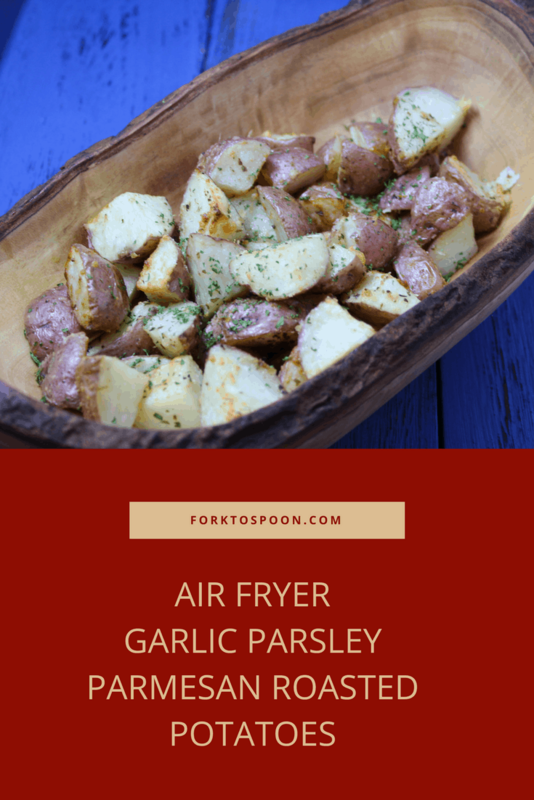 I have been playing with different types of potatoes in the air fryer, because they are nice and light, and usually very healthy. 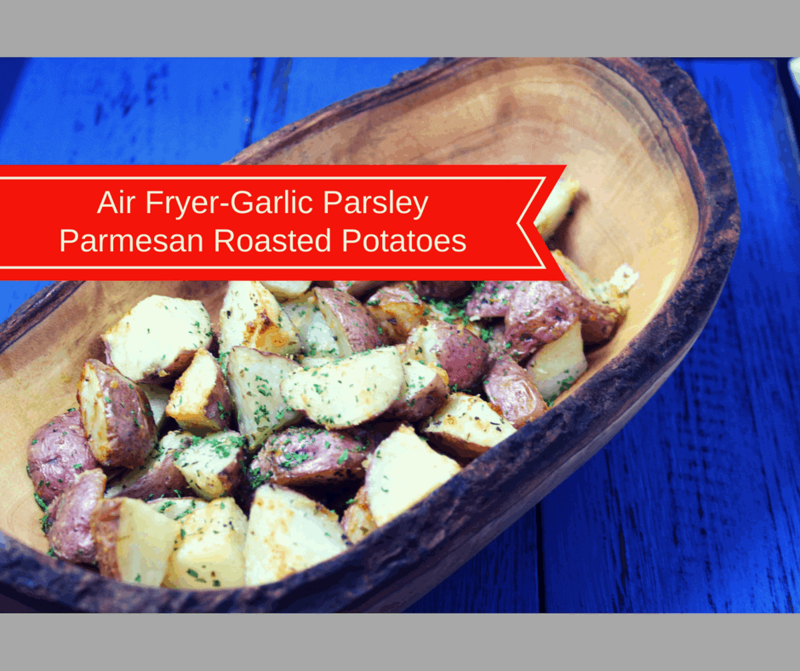 They also get a great roasted flavor in the air fryer, without added oil. These would be amazing during the summer, as a side dish, for a BBQ. Cut the vegetables or potatoes into even sizes. By doing this, you ensure that the time for the entire dish is the same. 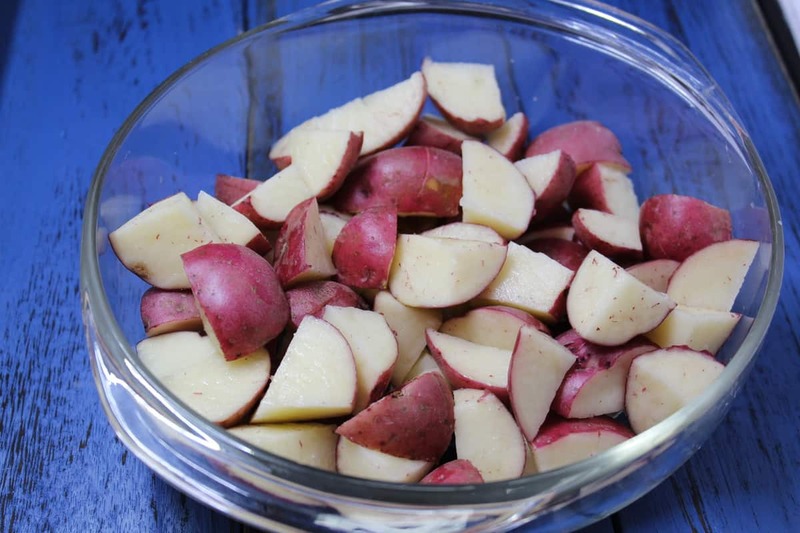 If you chopped the potatoes/vegetables different sizes and shapes, they will all have different cooking times. Make sure that you don’t overfill the air fryer tray. The same thing, the cooking times will be different, because they will be received different amounts of heat, during the cooking process. Flavor the potatoes, pull out all of your spices, using fresh pepper and salt, makes a HUGE amount of difference of vegetable and potatoes. FLip the potatoes/vegetables, about halfway through the cooking process. This ensures that they will all be cooked. 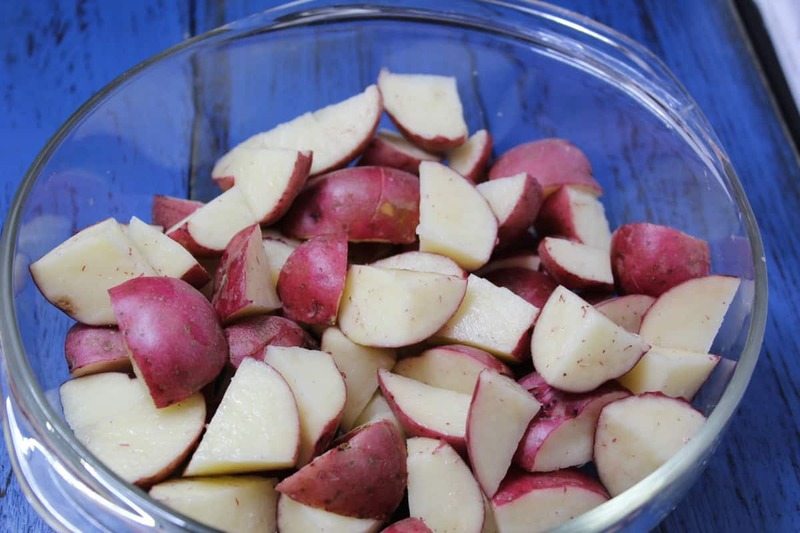 Start by cutting the potatoes, into even sized quartered pieces. Then add your seasoning mix, and mix well. 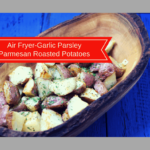 Place the potatoes in the air fryer basket. Cook and you will soon have…. 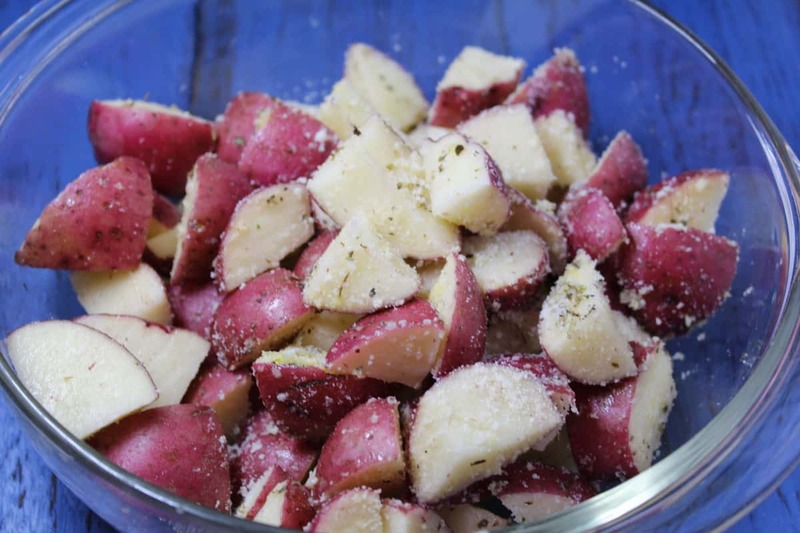 Cut the red potatoes in half, and then in quarters, so they end up roughly the same size. Then in a large mixing bowl, mix everything together in with the potatoes, making sure that you coat the potatoes. 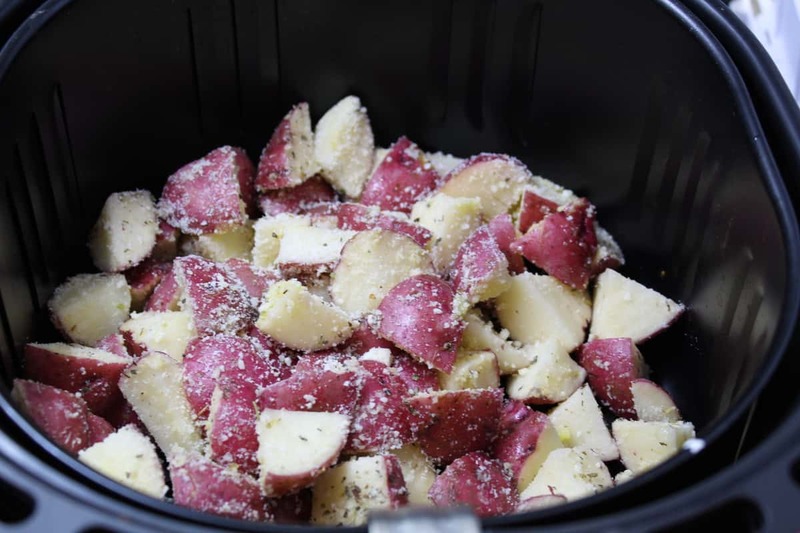 Pour them into the air fryer basket, and set the time for 10 minutes, and the temperature at 390 degrees F.
When the first 10 minutes are up, flip the potatoes, and set the time for another 8 minutes. **Note: The exact time will depend on your wattage, the type of air fryer you own, and how man potatoes are in the air fryer. Serve with a sprinkle of fresh parsley.